We design our luxury tent accommodation in NSW for comfort, the positioning of the bath, the seclusion of the tent, and much more, gives you a sense of isolation, without forgoing the comforts and luxuries you deserve. We aim to provide you with an opportunity to create your own stories and adventures. Thinking about popping the question? Or spoiling that special someone? What better way to do it than with a truly unique getaway? Our glamping tents are built to the highest quality, with premium furniture and amenities – we have gone to extra lengths to ensure all your needs are met. Our tents are very separate from each other – so you can enjoy your privacy in peace and quiet. 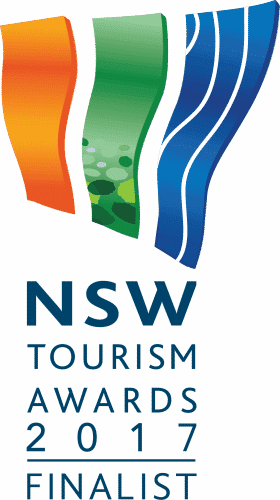 If that’s not enough – we won the Gold awards for Unique Accommodation in the Regional and NSW Tourism Awards and are a finalist in the Australian Tourism awards. There is a big difference between regular camping and luxury glamping. There are a few variations that you should keep in mind when booking one of our luxury tent accommodations. Our tents are permanent structures and have been built to withstand any adverse weather. They are self-contained and we encourage guests to bring food to cook their own meals, or explore the local cafes and restaurants. Our tents are equipped with ensuites featuring flushing toilets, showers and bathtubs. No shared facilities! Our tents have big comfy beds – so you can wake up to nature, in comfort! Click here to find out which luxury tents are available so that you can book your next holiday with us.